Some of the biggest perks of memberships (aside from reduced or free admission!) are all of the extra ways that the organization you’re supporting shows their love for you. Sometimes they offer early-access registration for special events, guest passes, or discounts at the gift shop and cafe. You may be thrilled about these benefits when you first sign up for your membership, but how often do you actually remember to use them? That’s where digital membership cards come in. 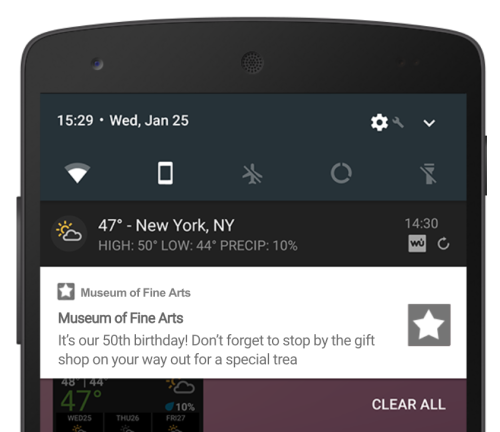 How do digital cards help you remember your benefits? Well, they’re not constrained by physical space or the size of your wallet, so the organization can list all of your benefits on the back, even if it’s a long list (and we hope it is!). But it goes way beyond that. When you’re onsite, you can receive special promotional messages via your membership card to ensure that you never miss out on any benefits or special events. There’s no longer any need to worry that you’re not making the most of your membership! 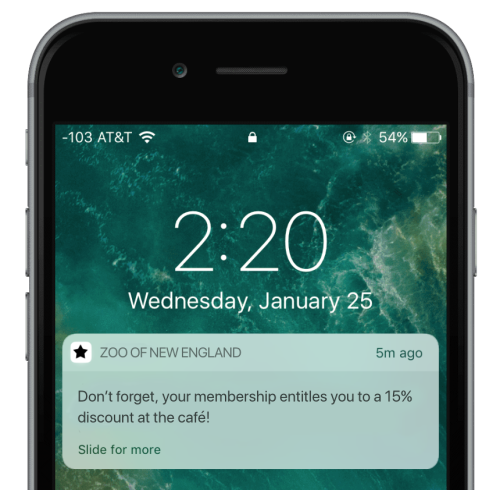 There’s no limit to what special messages that organizations may want to send their members, and now they have an easy way to it, through notifications on digital membership cards that are triggered by GPS location or on-site proximity-awareness (thanks to iBeacon). Yet another reason for your members to come back soon! Museums, aquariums, zoos, and any attraction with a membership program, we know you want to show your members some love ❤️, and you probably already have ideas brewing about what carefully crafted messages you’d like to send when your members visit. With all the effort you put into designing and creating their membership benefits, make sure they don’t forget about them! Click here to chat with a Cuseum expert about how digital membership cards can help you better connect with your members and improve your membership process!